From Monday 8 April 2019 until Monday 6 May 2019: Enjoy 20 % off! 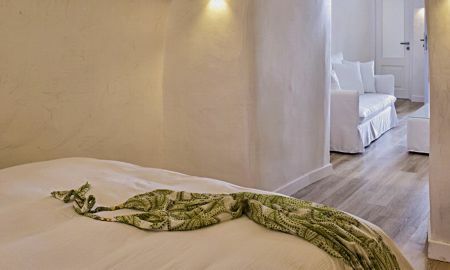 The village of Oia in Santorini offers one of the best possibilities to spend a luxurious holiday. Stay in the Katikies Hotel and you will not regret your choice! This hotel is famous for its luxury and incomparable services, warm and romantic atmosphere, which blend harmoniously in the breath-taking natural setting. The Katikies Hotel was granted the reputation of Grande Dame of Caldera luxury hotels thanks to its tradition, the unique architecture of the stairs, bridges and pools and the spectacular views of Caldera. The hotel's rooms are welcoming and cozy, equipped with luxurious terraces overlooking amazing panoramas. Guests may enjoy elegant dusks during one of the wine tasting events or have lunch in the legendary pool bar and restaurant of the hotel. 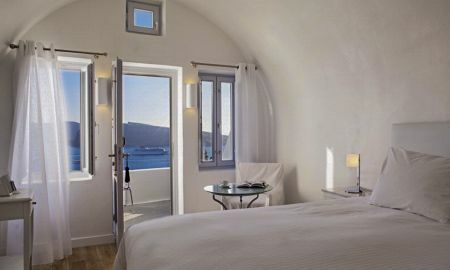 They are the icons of a luxurious and unforgettable holiday in Santorini. 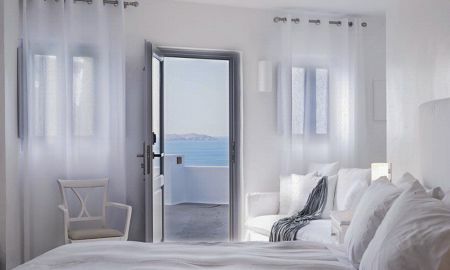 The Katikies Hotel is located close to the crystal-clear Caldera basin in the quaint village of Oia, at the west end of Santorini island.